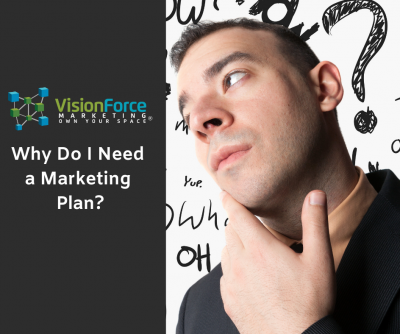 Why Do I Need a Marketing Plan 2? A Marketing Plan first looks at the objectives of a company and then determines what methods will garner the most effective results. Once tactical marketing initiatives are identified, a good Marketing Plan will prioritize those tactical elements and provide the direction one needs to take in order to drive sustainable business growth. Developing a Marketing Plan isn’t just about planning the next reprint of your brochure or the redesign of your website, the Marketing Plan encompasses everything related to sales and marketing for your company for (at least) an entire calendar year. It will ensure that you are presenting the right message in front of the right audience and it will allow you to plan with the seasonality of your business. Put simply – Marketing Plans work. A Marketing Plan is a necessity in large corporations and even though they are time-consuming to develop and are usually quite lengthy, billion-dollar organizations require them from their marketing departments because they creation of a marketing plan demands clear objectives and a game plan for achieving results. So if the largest companies in the world use Marketing Plans, why don’t more small and medium-size companies use them? Very few people know what a Marketing Plan should look like and if you decide to be resourceful and Google it – you’ll find things like “This FREE 1-page Marketing Plan is ALL you need!” and other half-baked approaches put out by people trying to grab your attention and resources like these are not interested in your business growth. If it seems too simple to work – it probably is. No legitimate marketing strategist worth his/her salt would ever suggest a “1-page” Marketing Plan. It could be a summary, but it is not a Marketing Plan. On the flipside, some professionals hang on to the misconception that a Marketing Plan needs to be 30 pages long filled with a lot of theoretical assumptions, graphs and copy no one wants to read. This is equally misguided. A Marketing Plan should include objectives and a road map to getting to those results and that’s going to take several pages to capture accurately. 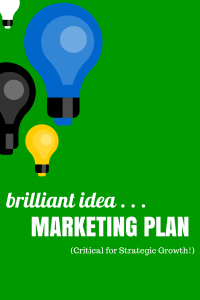 So, Yes – You DO Need a Marketing Plan! If you’re the business owner or a business leader your business is dependent on marketing – at some level, to some degree. The top company in any industry isn’t the one with the best product or service – it’s the company who is the best at marketing. Stop playing second-fiddle to your competitors and step up your game. Get your Marketing Plan in place today.